Welcome to Day #2 of Chocolate and Berries Theme Week. 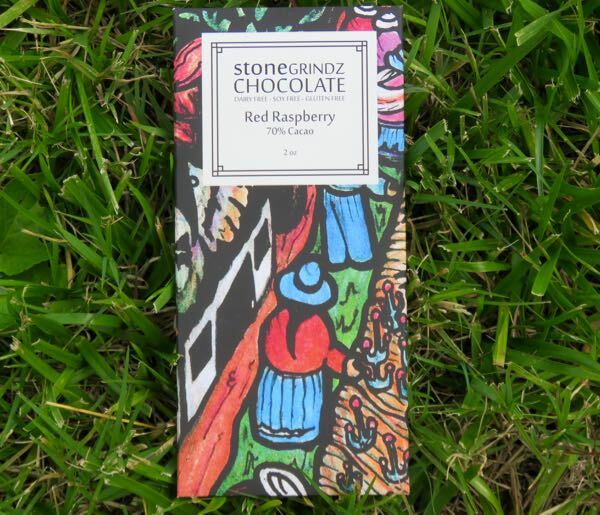 Today's Red Raspberry bar was carefully made from scratch, from bean to bar, by Stone Grindz Chocolate (Scottsdale, AZ). 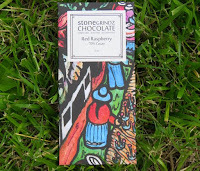 Seventy percent dark chocolate was blended with real berries. 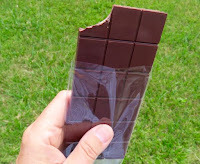 And the result was a medium bodied dark bar with a very pleasing, authentic, luscious red raspberry jam flavor.